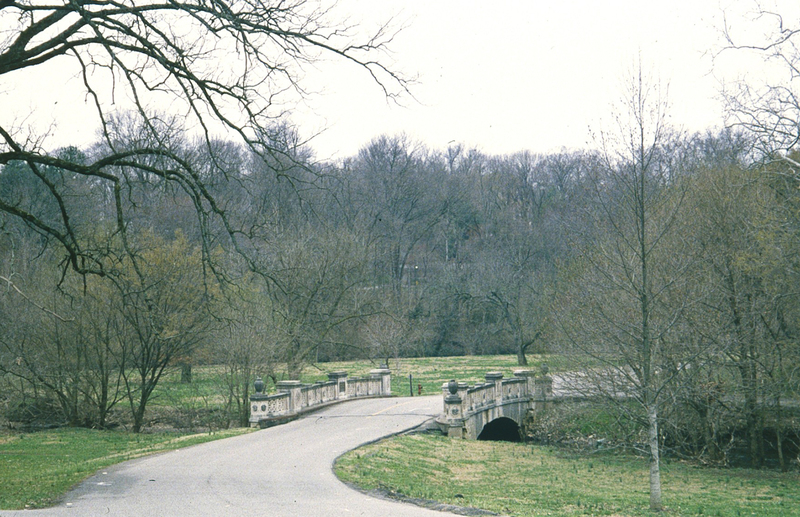 In 1891 Frederick Law Olmsted, Sr. addressed a small group of Louisville civic leaders, the Salmagundi Club, to further their interest in establishing a park system. The resulting commission created a network of parks and boulevards, one of five such systems in the country, representing the last commission of this type in the elder Olmsted’s career (and along with Rochester, NY, the only system that was designed by all three Olmsteds). Anchoring this system were three large parks along Louisville’s perimeter: Iroquois (south), Cherokee (east), and Shawnee (west). 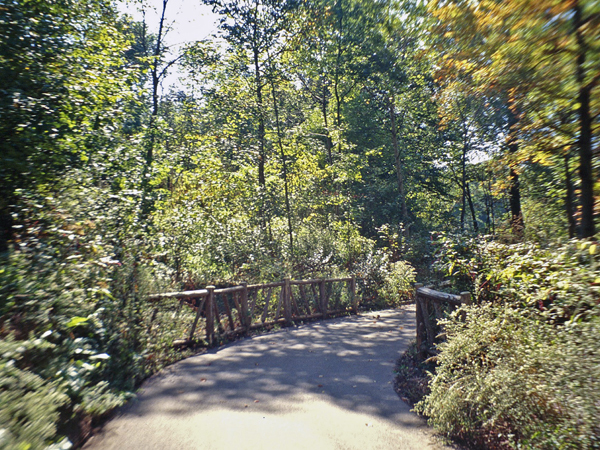 Cherokee and Eastern Parkways unify Cherokee Park with the city. The 409-acre park, situated in the Highlands, opened in 1892. 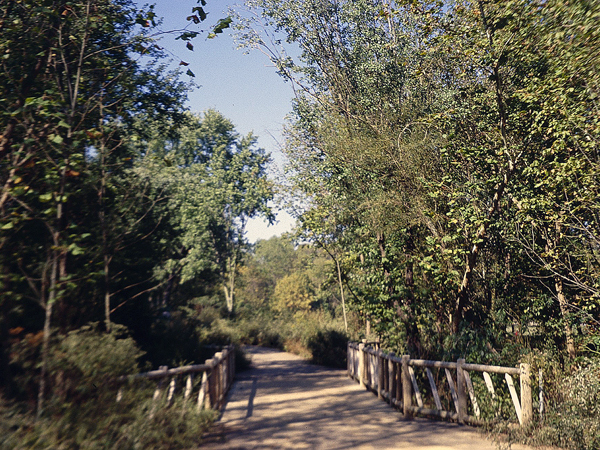 The rich and varied scenery follows the contour of the land within four distinctive landscapes of the park: hills, slopes, a creek valley, and sinkholes. 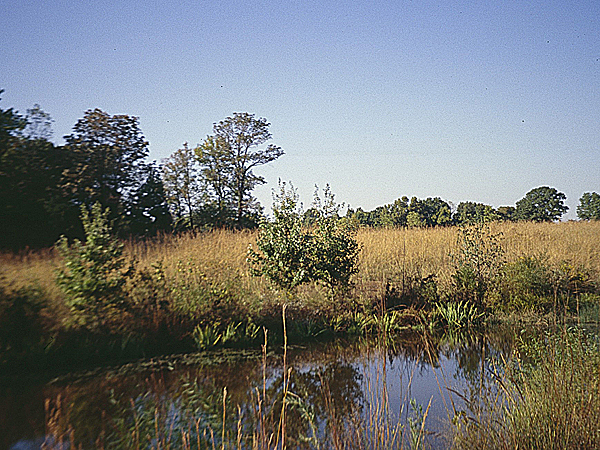 Slopes and pasturelands, planted with shrubbery, individual trees, and groves of trees, extend from Beargrass Creek. The limestone ridge reveals the region’s karst topography. Features along the 2.4-mile Scenic Loop include Baringer Hill; Baringer Springs, Hogan’s Fountain, with its sculpture of Pan by Enid Yandell; and Christensen Fountain, a project completed in 1901 on which John Charles Olmsted consulted. In addition to the Eastern Parkway entrance, the several other park entrances reflect the development of adjoining Picturesque neighborhoods. 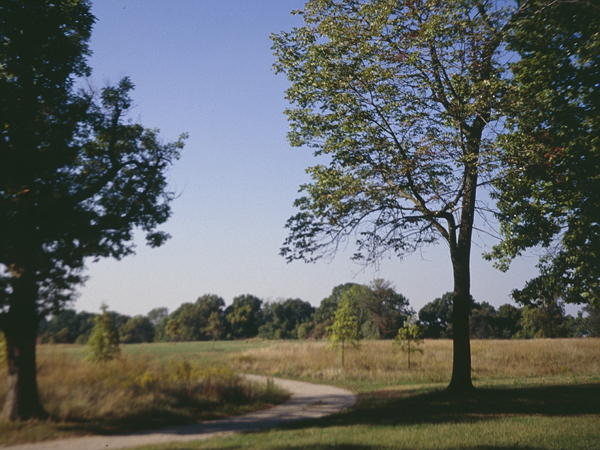 The Olmsted Brothers firm designed Cherokee Gardens, Seneca Gardens, and Alta Vista subdivisions to benefit from borrowed park scenery, a neighborhood amenity. 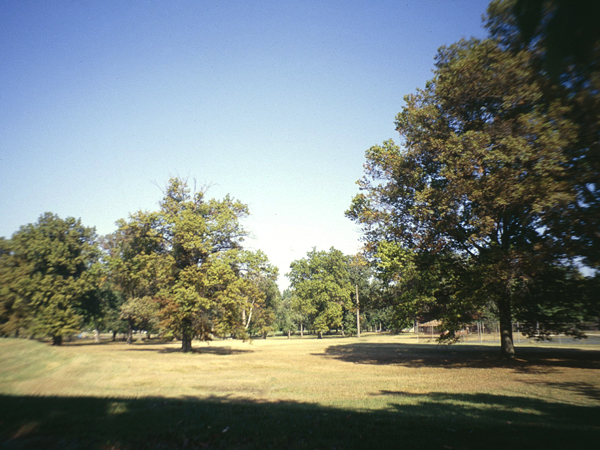 The Louisville park system was listed on the National Register of Historic Places in 1982.